I believe that we have inside us the resources required for growth, change, and living: creativity, resiliency, and inner knowing or a "gut" sense. These inner resources are our birthright. Adverse life circumstances (such as illnesses, losses, traumas, and negative messages) can disconnect us from those resources or block our awareness of them in the first place. I see my principle task as helping to prepare the ground for healing and new growth by increasing awareness of and building relationship with these inner resources. Establishing the therapeutic alliance, providing tools, opening doors, and building a sense of possibility in the client all contribute towards this end. The big shifts in a client’s being or perspective that can occur in therapy always seem like somewhat of a mystery involving forces much larger than either of us; sometimes, the biggest intervention is to step out of the way and allow the change to happen. In this way, I see myself as somewhat of a midwife who oversees, guides, and safeguards during an essentially natural process. I am knowledgeable and experienced in a number of theoretical perspectives, including person-centred, existential-humanist, narrative, cognitive-behavioural, solution-focused (brief therapy), feminist, and contemplative approaches. Effective therapy is not a "one-size-fits-all" process. My goal is to collaboratively and creatively tailor the process to respond to each individual, their issues, and their therapeutic goals. 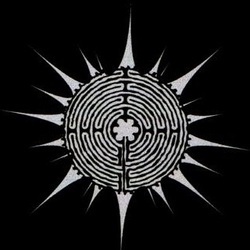 My logo is a stylized representation of a labyrinth, an ancient tool for self-reflection, exploration and healing. It is also a metaphor for the therapeutic process of looking inward in a space that offers safety and encourages exploration and personal empowerment without judgment or interpretation.